Thanks to David for shooting the stop motion video of us setting up a 20x15m stretch tent. The tent hire was set up for a sky betting staff event at a new stretch tent event venue at Creskeld Hall, Creskeld Ln, Arthington, Bramhope, Otley LS21 1NT. Creskeld Hall is a old historic house built in the 1100’s and is now being set up as a new stretch tent event venue now taking bookings. You can contact them at creskeldhall@gmail.com for more information or to make a booking. Some of you may recognise the grade two listed venue as home farm from ITV’s Emmerdale . 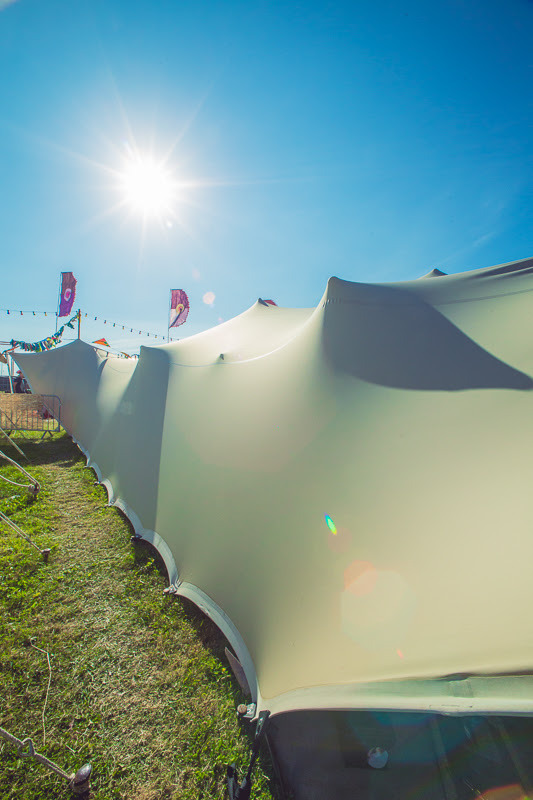 The venue has over 14 000 square meters of garden so there is a variety of places a stretch tent hire could work in. The gardens are open annually for the public to visit. On one of out pre site checks we measured out the space and it was just big enough to fit our 20x15m tent in. When we arranged a CAT scan to look for any underground services we found some old unused power cables from the 20’s, so no problems there. The client wanted a 3.2m AV screen inside the tent so we used alternating 3.2 and 3.5m poles along one edge of the tent. This takes some thinking about as you have to ensure the tent drains correctly. We also had to ensure the guy ropes lined up next to the two entrances into the area so the stretch tent was easily accessible for the event attendee’s. We had to coordinate with a number of other suppliers as it was a large event with some tight access (luckily we are well practised at reversing round corners), timing was everything. There were the hard flooring providers to make sure the flooring was in the right place. Ensuring there was enough space between the stretch tent poles for the stages and furniture and audio visual equipment. This was also true for pack down. we coordinated with the various suppliers and made a very early start to make sure we were out of the way and the flooring was ready for collection by 11am.